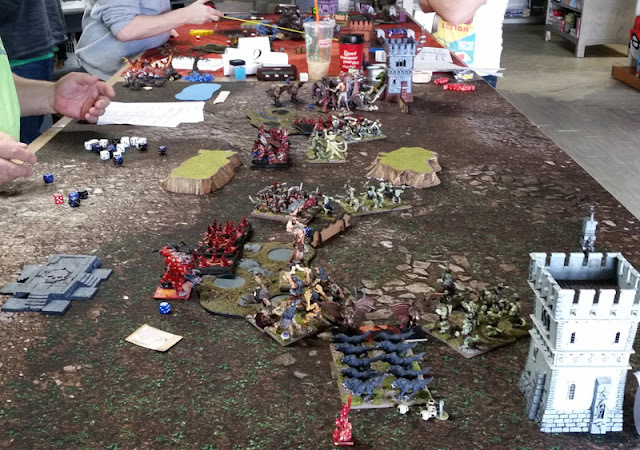 Played in a three round Kings of War tournament at Recess Games. 2500 points this afternoon. 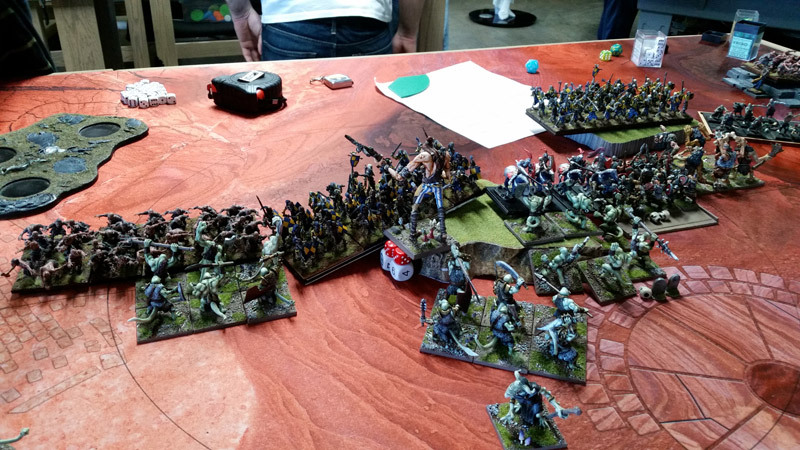 In keeping with the holiday, I fielded my (Irish myth inspired) Fomorians using the ogre army rules. 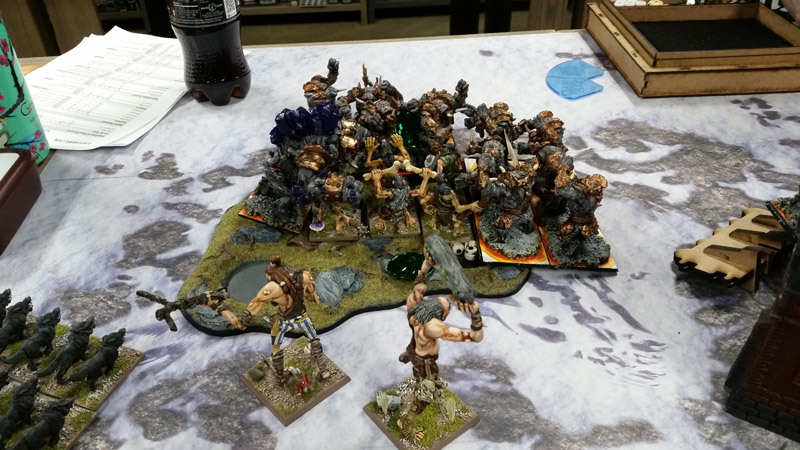 I had to field 2 giants, the bog demon (as a mammoth), and a unit of allied half-orcs (as humans.) I used the recently painted bog trolls as hunters. 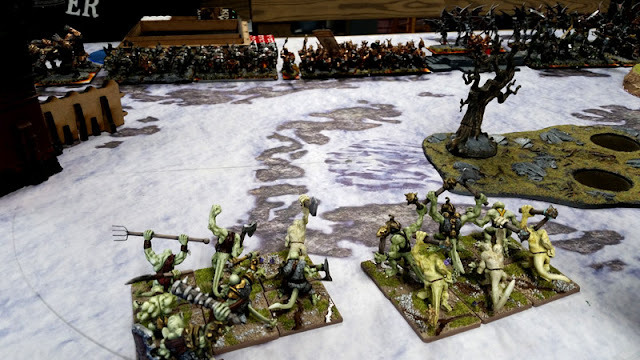 So still all themed with the army, just not exactly what I would have liked to field. Sounds like my kind of performance in any form of competitive (and all other types) game. Good that you had fun - that’s the main thing. Glad you got to enjoy some games, even with the "wrong" army! Win, lose doesn't really matter. You got in three games, hooray. Best painted is pretty sweet too.